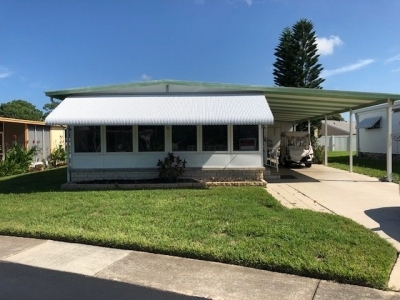 Enjoy a Florida retirement with this Stonehenge 2/2 manufactured home where your pet is welcome. Furnished residence and optional golf cart, great location near gulf beaches and Lake Tarpon plus lots of public park amenities. Convenient shopping, active senior community and lot ownership make this a perfect buy! Monthly park maintenance fee a low $240 (compare with comps in the area at $700+ per month and you don't own the land!!!) Sold as is at this price!